There is just nothing like soaking in a hot tub after a busy day of exploring Pigeon Forge or hiking through Great Smoky Mountains National Park! Socialize with your family and friends about your exciting day in the Smokies as the bubbling jets soothe your muscles. Start your morning in the hot tub as you watch the mountains slowly come to life with the sounds of nature or head outside in the evening to witness thousands of twinkling stars in the night sky! The thrill of the multiplex comes to your cabin in the form of our incredible theater rooms with state-of-the-art sound systems! Grab some popcorn from the kitchen and settle in with the group as you watch the latest blockbuster or a classic flick. This is also an awesome place to view the latest big sports match or to catch a favorite television program. Settle in for an evening of fun in front of the big screen and have a blast with your friends! Challenge your friends, co-workers or family members in an exciting game of billiards, air hockey and other awesome games in our incredible game rooms! This is a perfect place to share some laughs while shooting some pool or playing darts. Organize your own tournament to find out who is the foosball champion in your group or who can get the highest score on the latest video game. 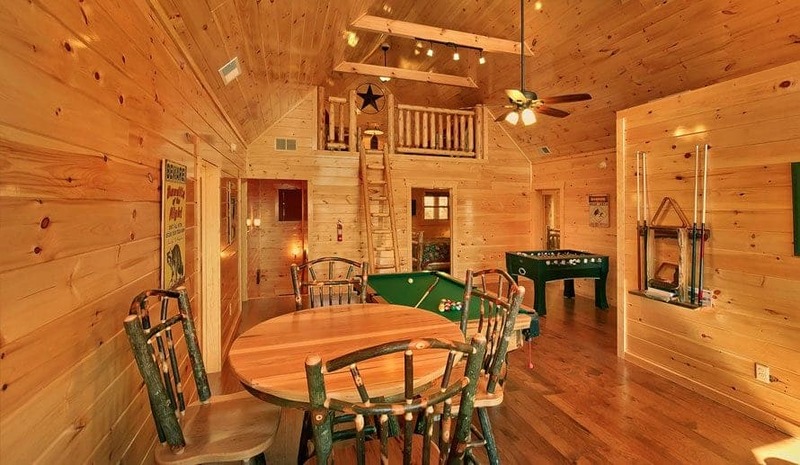 The game room is sure to be a highlight of your vacation in our cabins for large groups in Pigeon Forge! 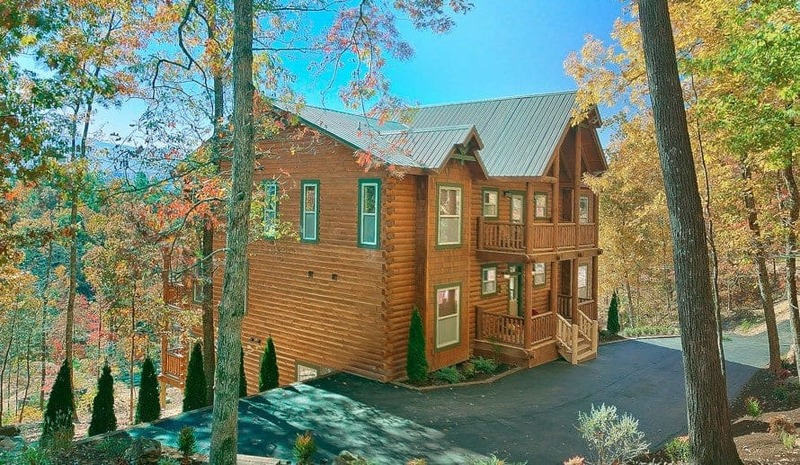 When staying with Large Cabin Rentals, there is no need to head into Pigeon Forge for a meal. Our cabins feature full kitchens with modern appliances and every convenience of your home kitchen! Prepare meals for the group throughout your stay and enjoy easy clean-up and food storage. A group dinner is a great way to gather everyone together in the evening to socialize and enjoy a delicious meal! A cabin in the Smoky Mountains would certainly not be complete without the ambiance and warmth of a crackling fireplace! 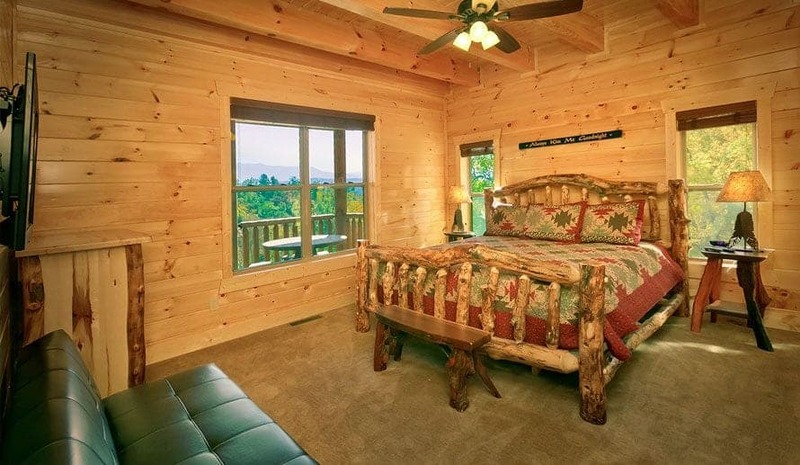 Wind down in the evening in front of the fireplace and relax as you wrap up another wonderful day in Pigeon Forge. Grab a cozy spot on the couch to read the latest bestseller or enjoy the company of your friends with the delightful background of the fire. 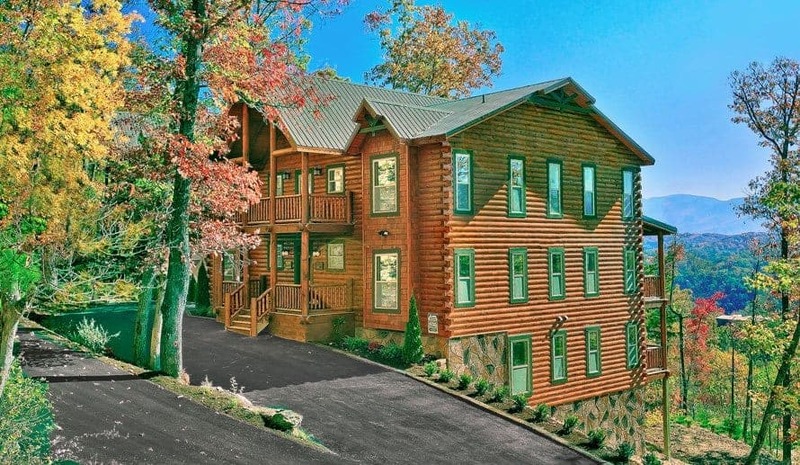 Check out all of our cabins for large groups in Pigeon Forge today. We look forward to seeing you soon at Large Cabin Rentals! Check Out Our Two Exclusive Cabins Where You Can Enjoy Your Own Private Miniature Golf in Pigeon Forge!Step Right Up for the Halloween Carnival at the Island in Pigeon Forge!